Leptin (Greek leptos meaning thin) is a 16 kDa protein hormone that plays a key role in regulating energy intake and energy expenditure, including appetite and metabolism. It is one of the most important adipose derived hormones. 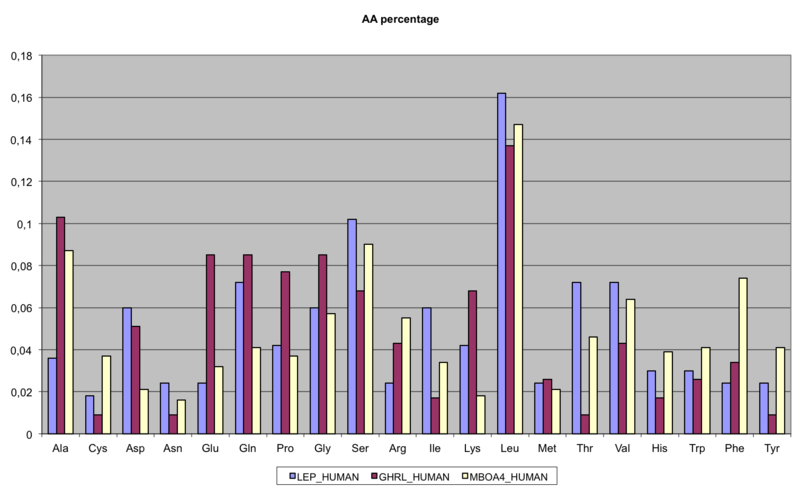 The Ob(Lep) gene (Ob for obese, Lep for leptin) is located on chromosome 7 in humans. 5 isoforms produced by alternative splicing. Isoform A ( 892-896: PETFE → RTDIL 897-1165: Missing) is expressed in fetal liver and in hematopoietic tissues and choroid plexus. In adults highest expression in heart, liver, small intestine, prostate and ovary. Low level in lung and kidney. Isoform B (chosen as canonical)is highly expressed in hypothalamus, but also in skeletal muscle. Detected in fundic and antral epithelial cells of the gastric mucosa (PubMed:19159218). Receptor for obesity factor (leptin). On ligand binding, mediates signaling through JAK2/STAT3. Involved in the regulation of fat metabolism and, in a hematopoietic pathway, required for normal lymphopoiesis. May play a role in reproduction. Can also mediate the ERK/FOS signaling pathway (By similarity). The regulation of bone metabolism mediated by leptin is a complex process that is not clearly understood. Recent studies suggest that CART (cocaine-amphetamine related transcript) is a significant neuronal co-factor when combined with leptin. CART deficiency is thought to result in low trabecular bone mass, but since leptin exerts contrasting effects on trabecular and cortical bone it is possible that cortical bone may not respond to the absence of CART signaling in the same manner as trabecular bone. We tested the hypothesis that CART deficiency decreases cortical bone mass, density, and strength by examining femora of adult wild-type mice (CART) and CART-deficient mice (CART). DEXA densitometry (PIXImus system) was used to measure whole-bone mineral content (BMC) and mineral density (BMD) from right femora, and pQCT used to calculate densitometric and geometric parameters from the femur midshaft. Femora were also tested in three-point bending, and sections of the tibia analyzed histologically to determine bone marrow adipocyte density (N.At./M.Ar) and endocortical osteoclast number (N.Oc/B.Pm). The control mice weighed less than the mice lacking CART (P<0.001), but mechanical testing data showed no differences (p>0.05) in ultimate force, energy to fracture, stiffness, or intrinsic properties such as ultimate stress, ultimate strain, or modulus. CART-deficient mice did not differ from normal controls in whole-femur BMC (p=0.09), BMD (p=0.19), midshaft cortical bone thickness (p=0.67), midshaft cortical bone area (p=0.59) or N.Oc/B.Pm (p=0.94), although CART deficiency was associated with a three-fold increase in bone marrow adipocyte density (p<0.001). Our data suggest that while the central, neuroendocrine regulation of bone mass via CART signaling may have effects on trabecular mass, absence of CART expression does not significantly alter cortical bone geometry, density, or strength. Obesity is considered as a major public health problem, which is often associated with type 2 diabetes mellitus, cardiovascular diseases and cancer. In most cases, obesity is accompanied by a decreased responsiveness for a hormone called leptin. This cytokine is primarily secreted by the white adipose tissue and targets specific receptors in the arcuate nucleus of the hypothalamus to regulate energy expenditure and food intake. Stimulation of leptin receptors (OB-R) activates several intracellular signaling pathways such as the JAK2/STAT3, MAPK, PI3K and AMPK pathways. Mutations that abolish leptin or OB-R expression result in massive obesity in mice and humans. 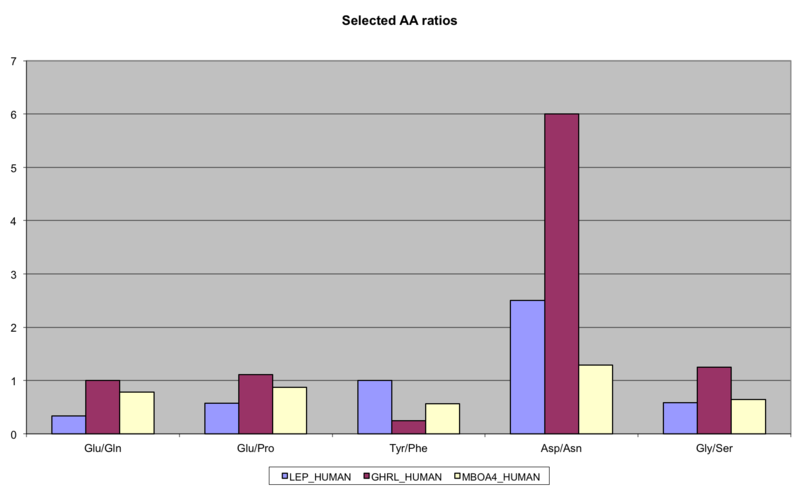 However, the prevalence of such mutants are not very high in the human population. Most obese individuals have paradoxically high leptin levels and are unable to respond adequately to this hormone. This pathological state is termed "leptin resistance". Several hypothesis attempt to explain this leptin resistance such as impaired transport of leptin across the blood-brain-barrier, impaired OB-R signaling or altered OB-R trafficking. BRENDA - The Comprehensive Enzyme Information System ALK?? BRENDA - The Comprehensive Enzyme Information System Leptin bimds? Leptin resistance increases with age and with body mass index (BMI). Serum leptin concentrations are closely correlated with BMI, so that a BMI of 40 is estimated to have a serum leptin concentration approaching 30-40 ng/ml, whereas a BMI of 20 is predicted to have a serum leptin concentration closer to 3-4 ng/ml (39, 53). Leptin resistance also increases significantly with age. The problem of leptin resistance means that although leptin may stimulate bone formation at younger ages and in individuals with very low BMI (and low circulating leptin, <5 ng/ml), leptin levels will be poorly correlated with bone mass in older individuals or people with higher BMI and higher leptin levels (>5 ng/ml). Leptin is both a hormone/cytokine that plays a major role in the regulation of feeding and energy expenditure. Beyond its central role in the hypothalamus, leptin modulates peripheral tissues' responses to growth and storage based on nutrient availability, and it regulates the innate and adaptive immune responses. mTOR (mammalian Target of Rapamycin) is a core component of intracellular signaling for cellular growth, mRNA translation, and metabolism. Here, we review recent findings on the cross talk between mTOR and leptin signaling. Important roles for mTOR on leptin signaling have been established both in hypothalamic centers to control food intake and in peripheral cells to regulate lipid metabolism and inflammation. Leptin directly activates resident macrophages to form ADRP-enriched lipid droplets and enhances eicosanoid production via a mechanism that is dependent on activation of the PI3K/mTOR pathway. Leptin-induced mTOR activation may have implications for obesity-related pathophysiological conditions such as diabetes, cardiovascular disease and cancer. Intestinal epithelial cell (IEC) leptin-mediated signaling and protection from amebiasis. LepRb (long form of the leptin receptor) signaling and hypothesized IEC-specific outcomes. Following LepRb-mediated activation, each signaling molecule is hypothesized to have different effects within IECs. JAK2 ⇒ anti-apoptosis; Tyr985 ⇒ SHP2 ⇒ anti-apoptosis; Tyr985 ⇒ SOCS3 ⇒ signal attenuation; Tyr1077 ⇒ STAT5 ⇒ anti-apoptosis and tight junctions; and Tyr1138 ⇒ STAT3 ⇒ hyperproliferation, cytokines and SOCS3. 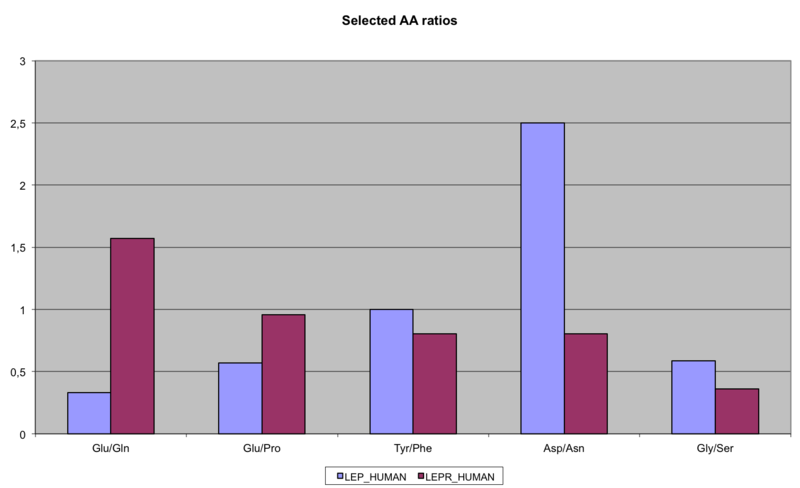 Also depicted are potential leptin-mediated IEC defenses against E. histolytica. These include increased goblet cell number and mucus production, induction of anti-apoptotic pathways, proliferation and differentiation of IECs, secretion of antimicrobial peptides, maintenance of tight junctions, expression of chemokines and cytokines, and alteration of the microbiome. ERK, extracellular signal–regulated kinase; IEL, internal elastic lamina; IL, interleukin; JAK, Janus kinase; MAPK, mitogen-activated protein kinase; PMN, polymorphonuclear cell; SHP2, Src homology phosphatase 2; SOCS3, suppressor of cytokine signaling 3; STAT, signal transducer and activator of transcription. Probably the biggest breakthrough for the study of appetite regulation came in 1994 when the molecular geneticist Jeffrey Friedman discovered the adiposity signal leptin. Using the ob/ob mice which were thought to lack a satiety signal, Friedman and colleagues found 'ob' to code for a gene which they called leptin, after the Greek word ‘leptos’ meaning thin (Zhang et al, 1994). Mice deficient in this gene are morbidly obese and this obesity can be reversed by giving the mice leptin. The leptin receptor was subsequently found in 1995 and is a member of the cytokine receptor family (Tartaglia et al, 1995). Leptin is a signalling molecule released from adipocyte cells to signal regarding adiposity levels. It is secreted into the blood, secretion proportional to body fat, where it travels to the brain causing a decrease in appetite (see Figure 1) through acting on specific neurones in the brain. Leptin is a 16 kDa protein hormone that plays a key role in regulating energy intake and energy expenditure, including appetite and metabolism. It is one of the most important adipose derived hormones. Leptin functions directly in the regulation of food energy intake and expenditure. At the level of the central nervous system, leptin exerts an anorexigenic effect by signalling satiety and decreasing the sensation of hunger . The control of energy homeostasis, food intake and body composition by leptin begins in early life, when the hormone also controls foetal growth and development. Growth during foetal life is linked with specific changes in leptin levels: small-for-gestational age (SGA) neonates have lower leptin levels at birth than appropriate-for-gestational age ones, and large-for-gestational age (LGA) neonates have higher leptin levels than the other infants. The observation of a surge in leptin soon after birth in mice suggests that leptin is essential for the development of the hypothalamic pathways involved in the regulation of energy balance and appetite, and that this activity could be restricted to a critical neonatal window. Interestingly, there is evidence that serum leptin concentration reflects body fat mass in adults, in children, during foetal life and also in infants. The leptin gene is expressed in the mammary gland of lactating women and that leptin is produced by mammary epithelial cells; leptin can be secreted into milk by the mammary gland and it can be transferred from the blood. Leptin receptors have been identified in gastric epithelial cells and in the absorptive cells of small intestine, which suggests that leptin could pass from milk to infant blood. The mean target of Leptin are arcuate nucleus cells that express Ob-Rb receptors. Leptin inhibits NPY/AGRP neurons and enhances POMC/CART (pro-opiomelanocortin) neurons. When leptin binds its receptor, activates the JAK-STAT pathways inducing SOCS-3 (suppressors of cytokine signaling). Leptin receptor were found also in cortex and thalamus, and in peripherical organs: adipocytes, lung, liver, skeletal muscle, lymphonode, kidney, spleen, adrenals and testis.